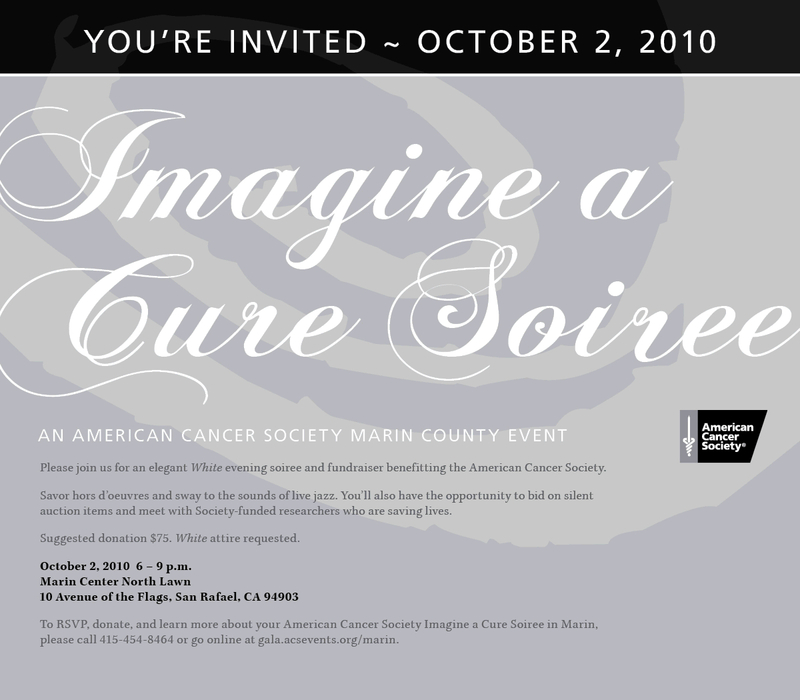 Saturday night there is a super important event for the American Cancer Society in Marin. …This will be a great event! What a good cause to sip wine and wish good fortune to those that have and had the big bad C and the hope that it will be conquered soon. Tell some one you Love about the Event! 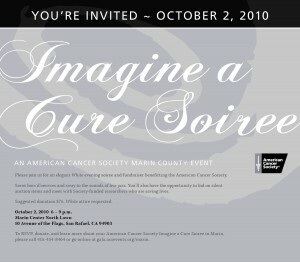 This Saturday Evening Entrance Fee will be a “Suggested Donation” Our Focus will be on AWARENESS.